Many in the community have been feeling a sense of groundlessness this summer due to the revelations about the Sakyong and the center of our mandala. When the unexpected occurs it disrupts our worldview, leaving us to question what is real and what we can depend on. We can look on this as an obstacle and/or an opportunity. With the rug of our assumptions pulled out from under us, we are literally back to square one. Being back at square one we have the opportunity to create something fresh and genuine, if we first ground in our sense perceptions to see things as they are. The Shambhala Art teachings offer skillful means for working with the open space of uncertainty. Rebekah Younger and Paul Romejko will be leading Shambhala Art programs starting this fall. The program offers experiential learning, awareness exercises, meditation and discussion that is suitable for all media and levels of practice. While art is in the title, this program is meant for artists and non-artists alike, as we are all creators. These practices take our mindfulness and awareness off the cushion by combining meditation and the creative process. We can use these teachings to create community and an awakened culture together. The upcoming community gatherings in September will include opportunities to experience your square one and make a genuine expression. Each of us has something to offer in shaping the Chicago Shambhala community vision. 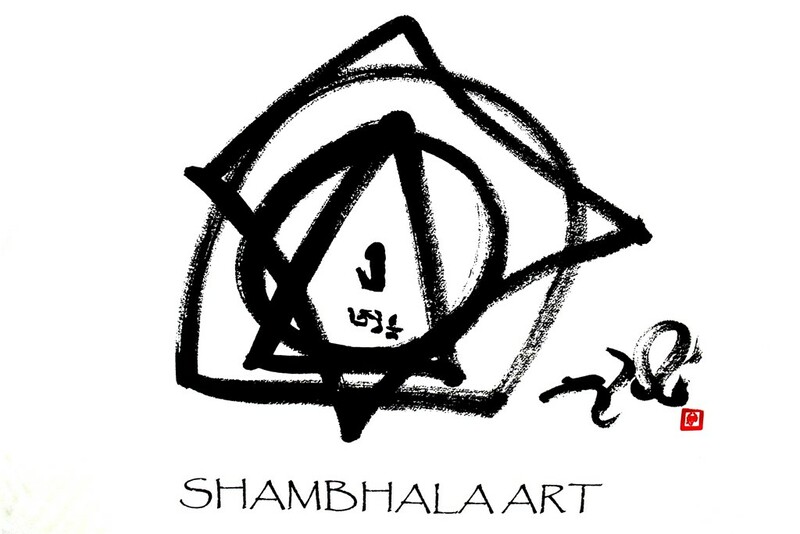 The Shambhala Art Program is a five-part training series based on the Visual Dharma lectures by Chogyam Trungpa Rinpoche, found in the book, True Perception. You can register now for Part 1: Coming to Your Senses and Part 2: Seeing Things as They Are, which are scheduled for November 10th and 11th. In October, Rebekah and Paul will lead an outing to the Art Institute to introduce the basic principles behind the Shambhala Art approach to creative expression.